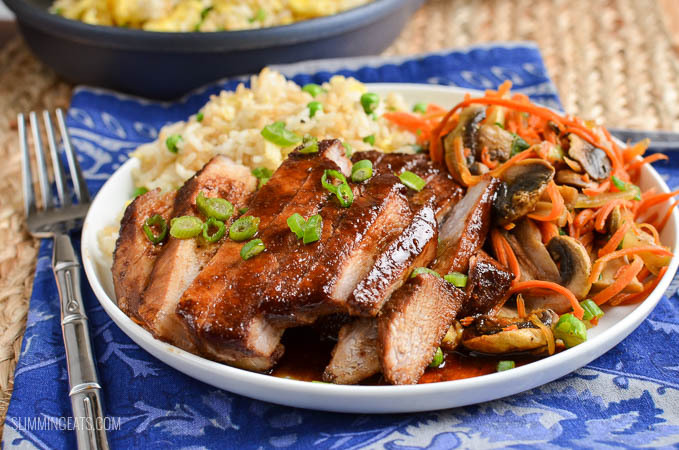 Create a delicious fakeaway meal in your own home with this amazing low syn Chinese Pork. 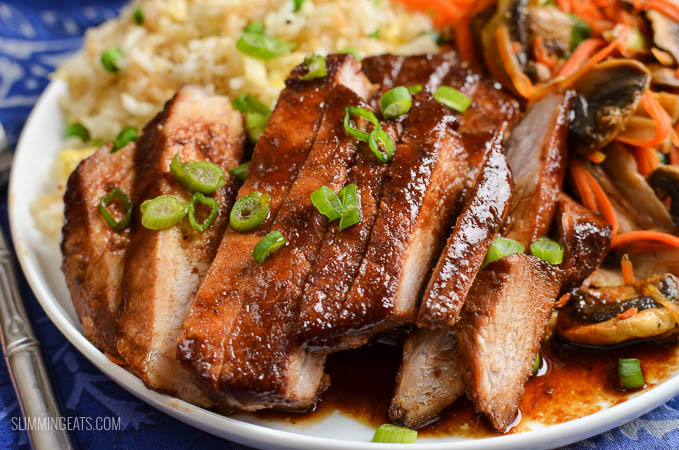 I have been making this Chinese Pork for years. 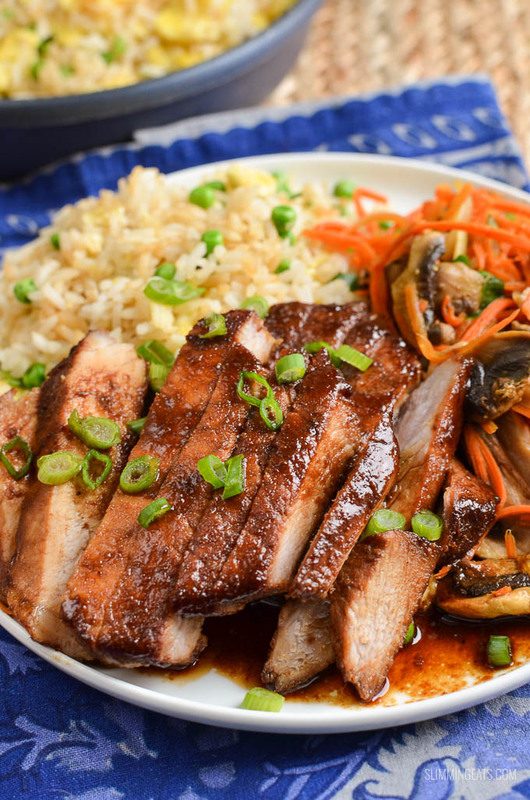 I love the flavour of Hoisin sauce and with the other ingredients it adds a delicious taste to the dish. 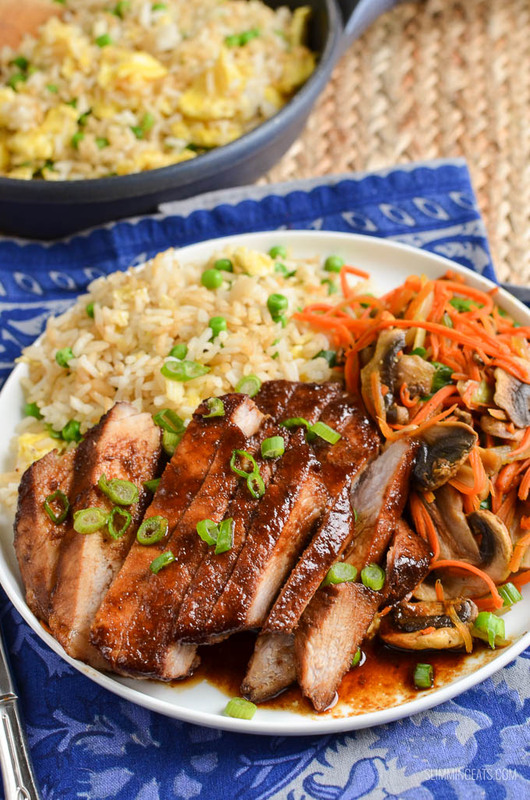 One of my go to dishes when I fancy takeout but do not want to use up lots of syns. I do recommend marinating the pork overnight. If you can’t marinade overnight, it needs a least a 4 hours for the flavour of the sauce to really be absorbed into the pork. 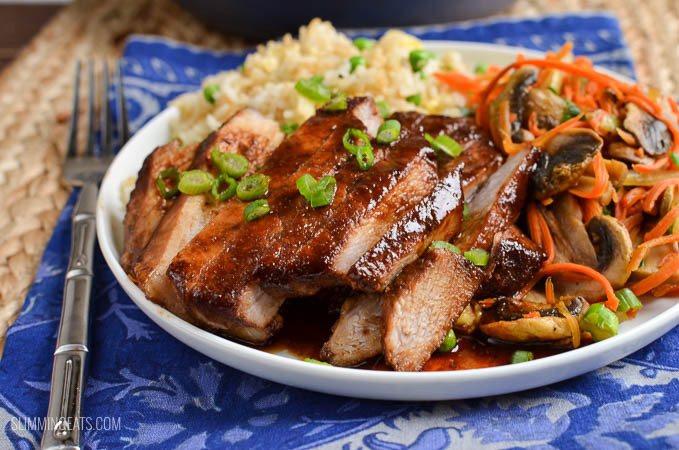 For the sauce to get that glaze, I have use both honey or brown sugar in the past for this dish and both work fine, you want the sauce to become syrupy towards the end of cooking time so that it glazes the pork beautifully. As for sides it is entirely up to you. 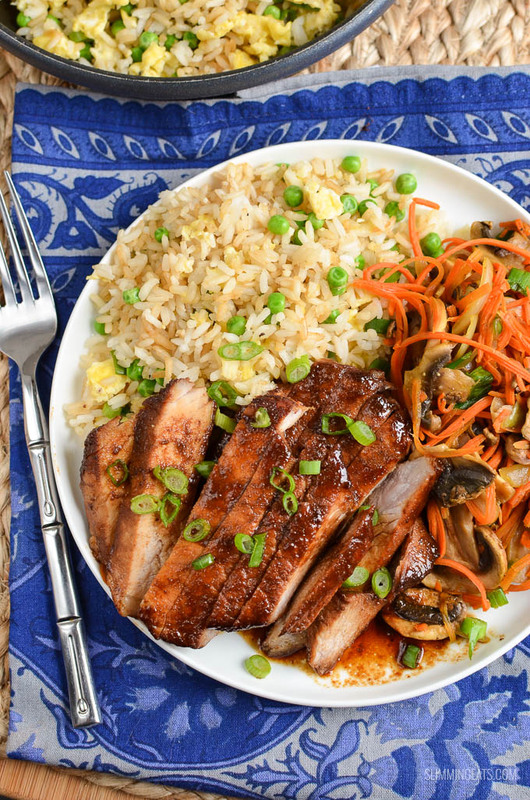 I tend to pair it with my egg fried rice (which can be made SP friendly by using cauliflower instead of rice) and some sautéed mushrooms, onion and julienned carrot. 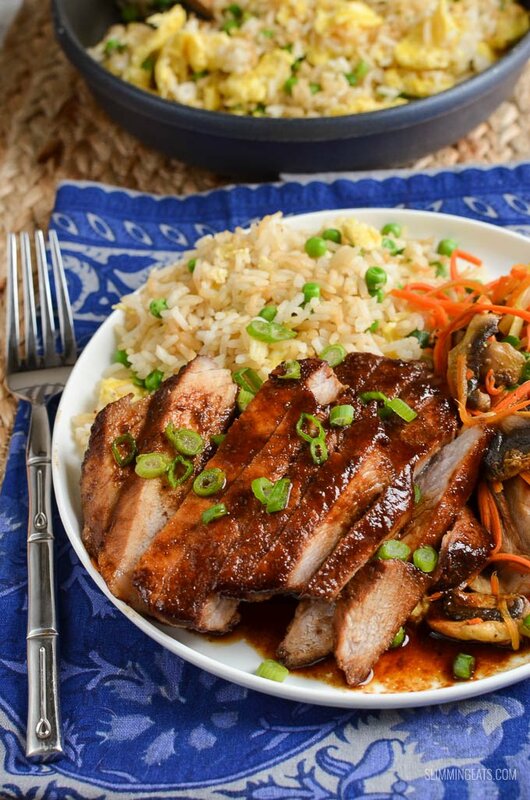 Once you serve up this Chinese Pork meal, Your whole family will never want take out again. Season the pork with pepper and spray over the top with a little spray oil, bake the pork loins in the oven for approx 25-30 mins turning a couple of times through cooking and basting with the sauce until the pork is cooked through and they are nice and caramelized from the sauce. Slice and serve with your choice of sides. Optional: sprinkle with chopped spring onions. 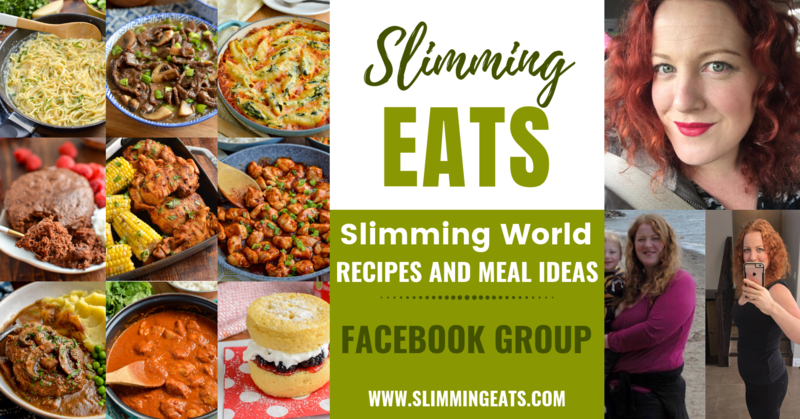 I made mine with a slight difference – I used the leanest cuts of pork shoulder steak I could find and trimmed all fat from them. I cut them into bite-sized pieces and marinated overnight. I then cooked them on the hob until the marinade reduced to a sticky glaze. I served with home made fried rice. The result was by far the best recipe for chinese food that I have ever come across – thank you very much!! This is so delicious! My family love it. I put the pork and marinade together in a ziplock bag and stick it in the freezer then I can just defrost and cook when we feel like it and it’s already marinated. Tried to give it 5 stars but it would only let me do 4. 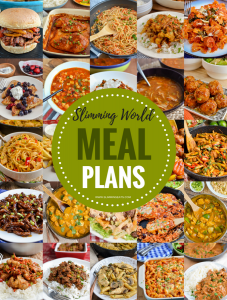 By far the best Chinese Slimming World recipe I have tried. A brilliant recipe! The marinade is great and I have also slow cooked a pork fillet in this marinade and used it as an amazing pulled pork recipe. Awsome! So glad to see you enjoying so many recipes Rita. Thanks for taking the time to come and leave comments. It is really appreciated. This looks amazing!! your blog has given me so many food ideas and recipes that I can not wait to try, especially this dish on a Friday night!